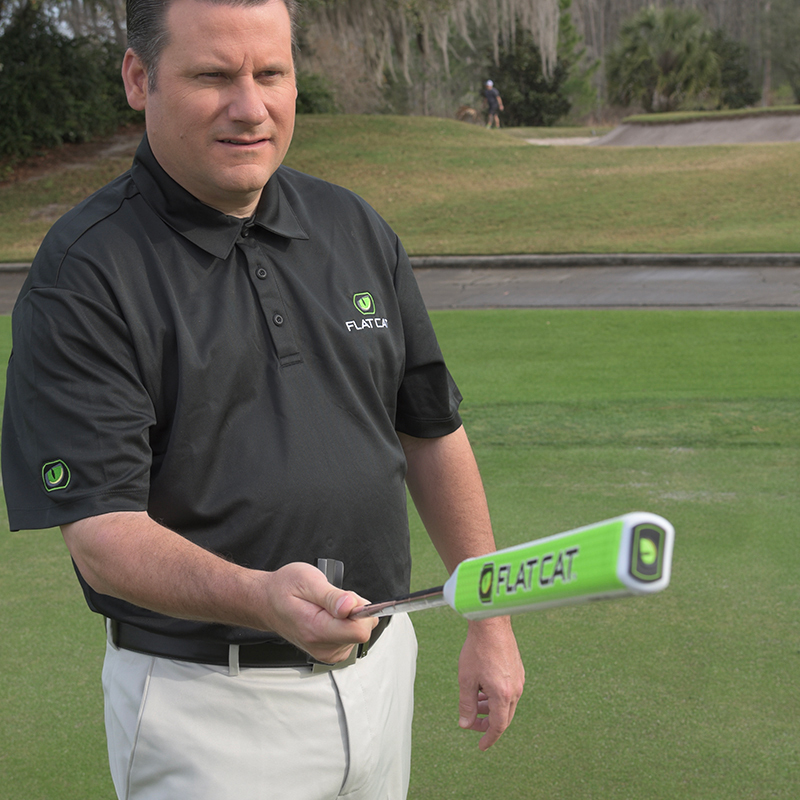 FLAT CAT is the game changing putter grip that is improving the putting of golfers of all skill levels. 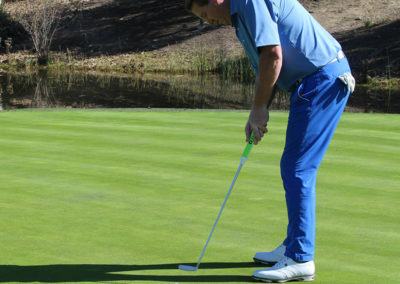 The fastest way to lower your golf scores is by improving your putting. 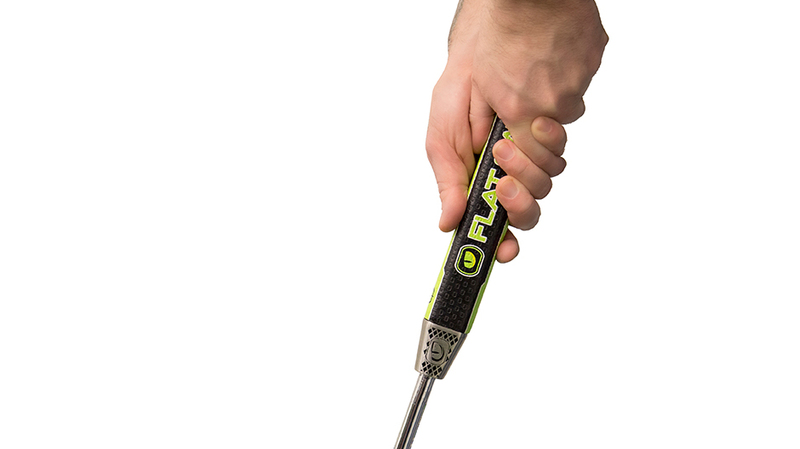 FLAT CAT putter grips put the feeling of square in the palm of your hands. 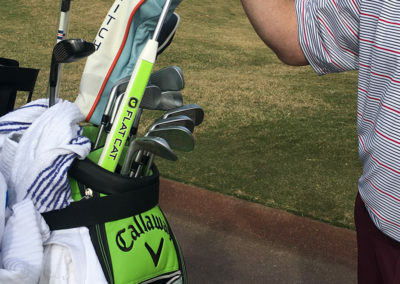 The patented, FLAT1™ design of FLAT CAT putter grips enables every golfer to square their hands, square their shoulders, and square their putter face to the intended target line. 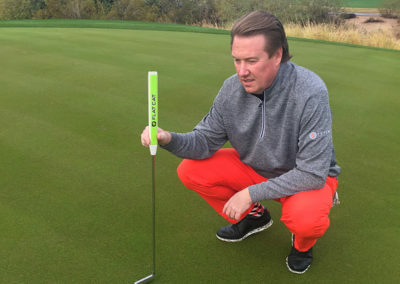 Ensuring your putter face is square to your intended target line is the key to making putts. FLAT CAT putter grips conform with the rules of golf, and promote a more fluid, consistent and accurate putting stroke. 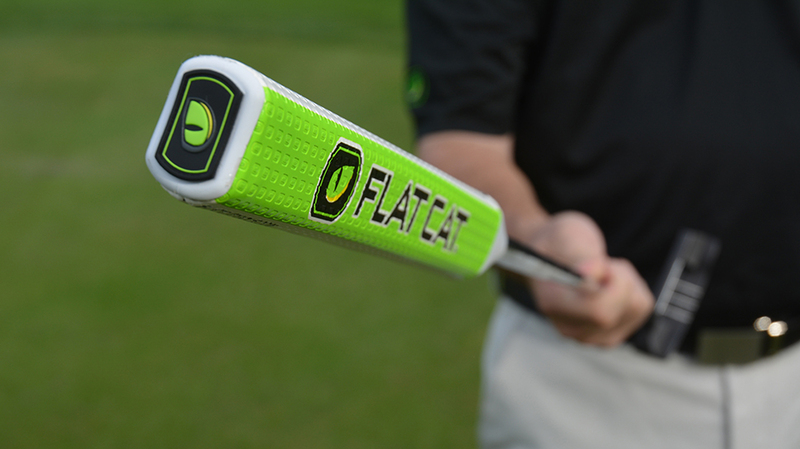 With FLAT CAT Putter Grips, when you square your face, you sink more putts. 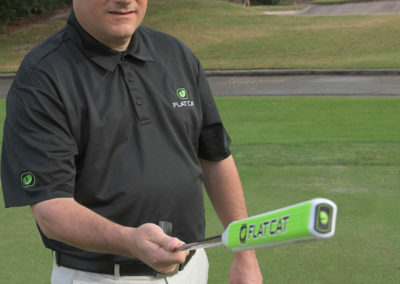 FLAT CAT’s patented FLAT1 design enables every golfer to square their hands, square their shoulders, and square their putter face to the intended target line. 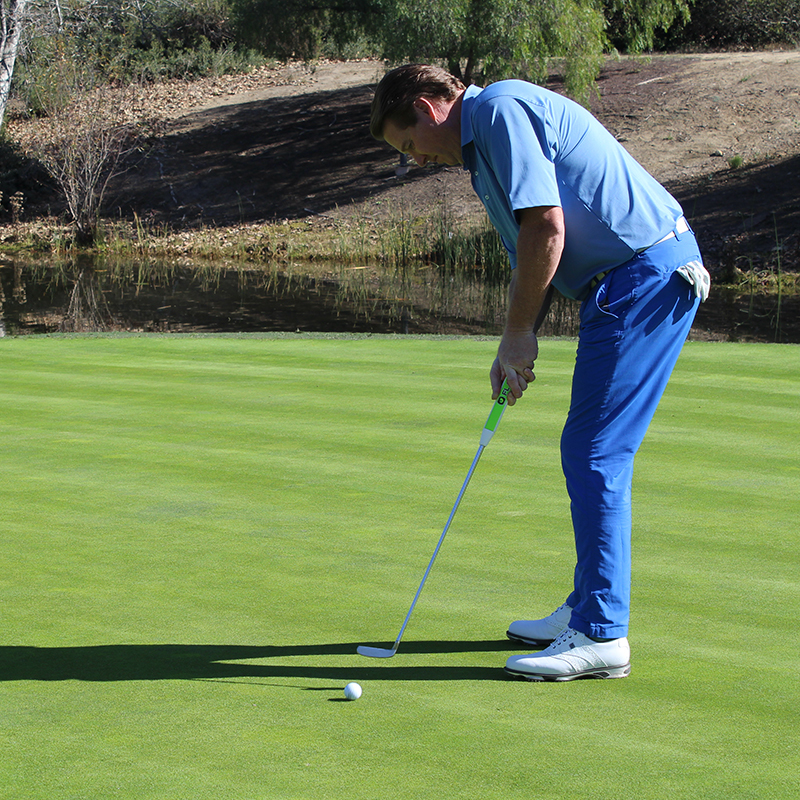 Ensuring your putter face is square to your intended target line is the key to making putts. 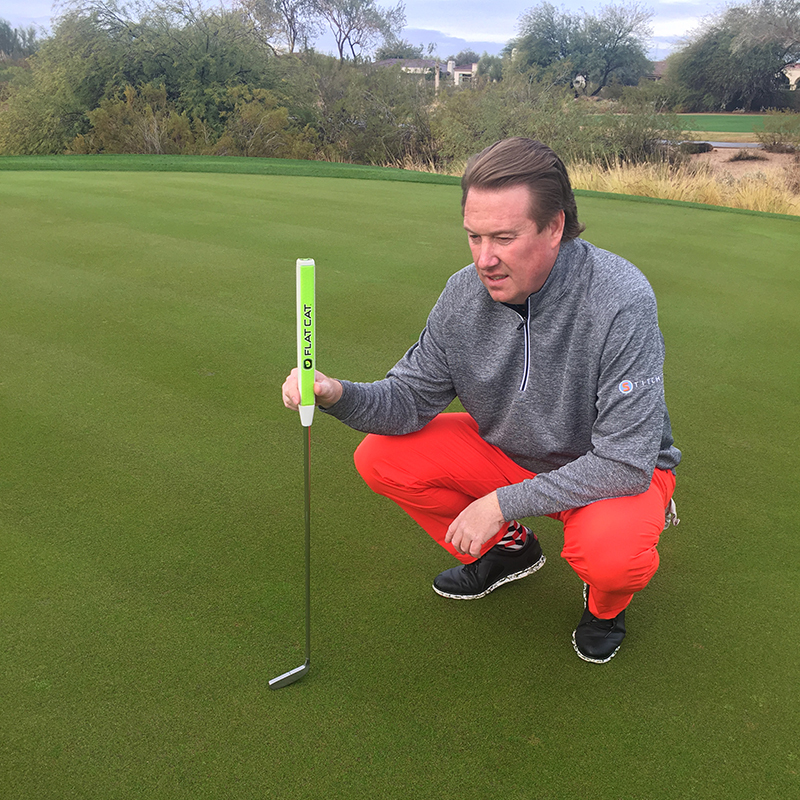 The FLAT CAT Solution putter grip offers golf’s first answer to the dreaded yips. 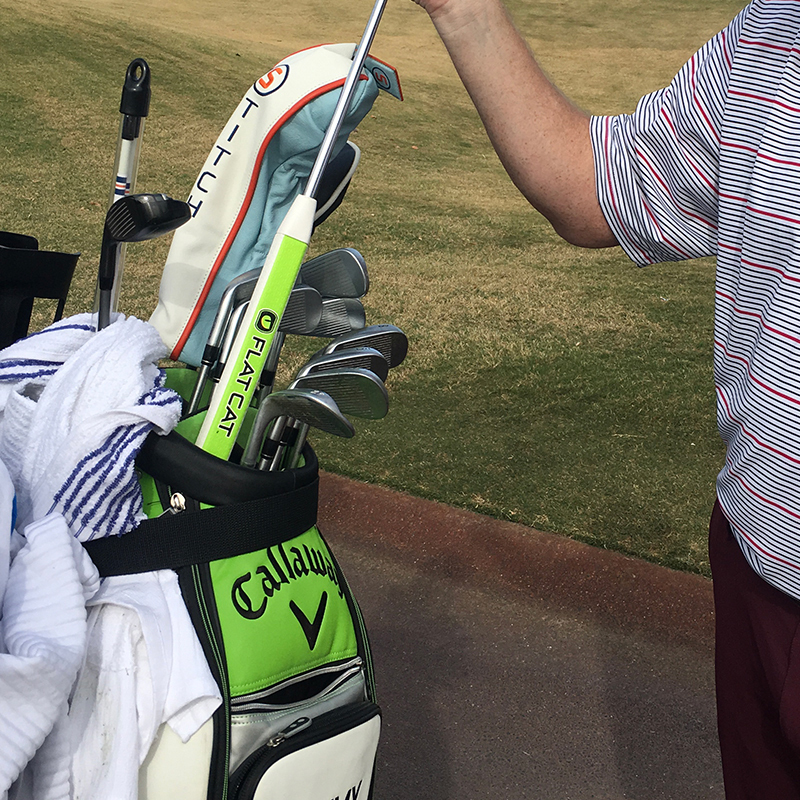 This revolutionary putter grip features a patented weighted cone that is optimally placed below your hands. The unique positioning of this cone promotes a smoother, more consistent pendulum-like stroke. 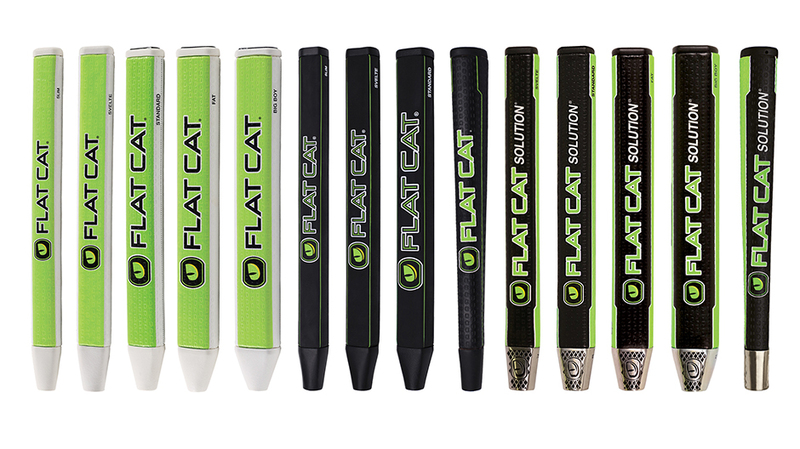 FLAT CAT putter grips are available in a variety of sizes to fit all hand sizes. FLAT CAT putter grips can be installed parallel or perpendicular to your putter face to adapt to your preferred grip style. 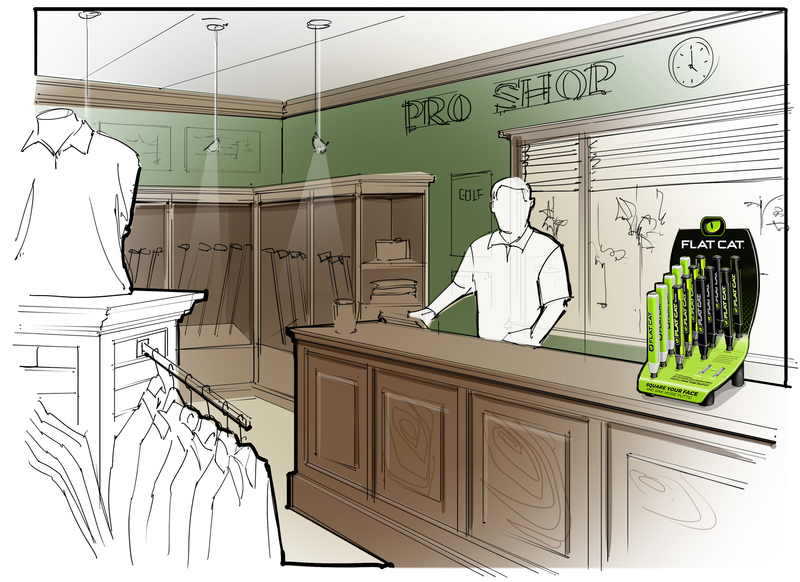 FLAT CAT’s attractive counter display allows you to showcase all FLAT CAT putter grips and sizes, allowing your customers to feel their new grip before they buy.